Top Rated SAT Prep Tutors in New York City! Welcome to New York’s top-rated private SAT prep in-home tutoring service! All of the following New York SAT prep tutors are certified by Varsity Tutors, the leading tutoring agency in the country! All New York SAT prep tutors have been background checked, been interviewed, had mock SAT prep tutoring sessions, and been trained by professionals. 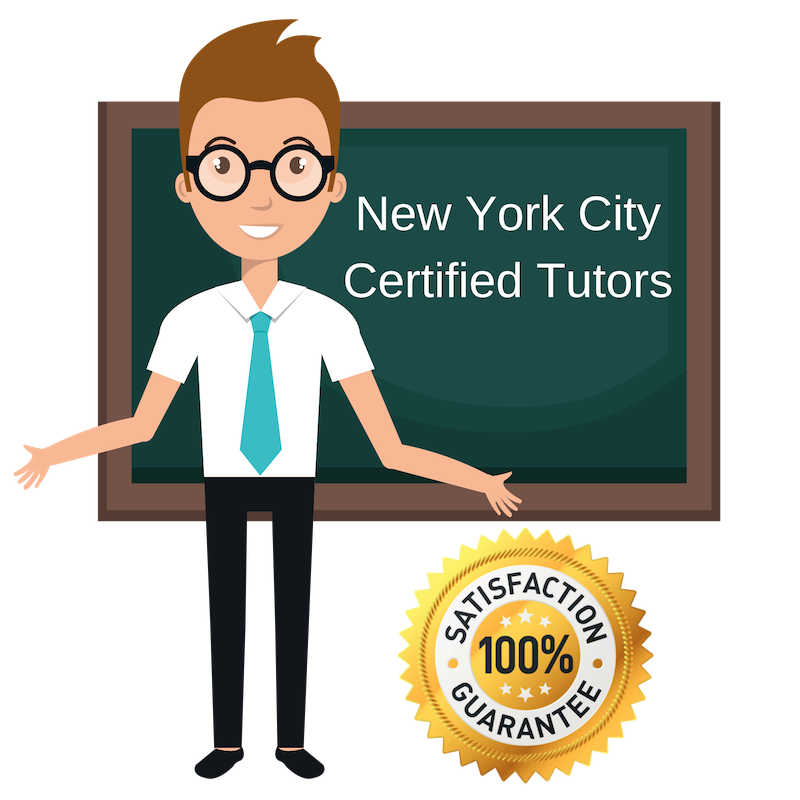 We guarantee you will love your local New York SAT prep tutor or your money back! Get information regarding a top-rated SAT prep tutor today! I have studied several subjects at the college level including philosophy, English literature, and history. After graduating from the University of Utah, I continued my academic endeavors in the form of learning German and preparing for continuing my education abroad in Europe. My intellectual curiosity and continued independent studies are complemented by my tutoring work. I find great joy in trying to ignite similar interest and aspirations in others. So far, I have worked as a tutor teaching English as a foreign language and preparing students for various forms of standardized testing. Currently, I am working in New York City, NY as a personal tutor for standardized tests such as the SAT. I am a private tutor living and working in the New York City area and offering tutoring sessions for SAT prep. I have a varied academic background, having completed a bachelor’s degree in religious studies at Dartmouth College before going to the University of Edinburgh in Edinburgh, Scotland for my master’s degree, which was in film studies. Today, I work making documentary films and enjoy the process of progressing from confusion and struggle to confident understanding that tutors get to guide their students through. In my spare time, I enjoy cooking, reading, and searching for the hidden gems of New York. I am a passionate educator and teacher who also enjoys tutoring students one-on-one in New York City, NY. Presently, I am available for personal tutoring for standardized testing, such as the SAT. As an educator, I have 14 years of experience working with students and teaching. I thoroughly enjoy having the opportunity to work with students who think they are not smart enough to understand a concept or who are discouraged because a particular subject is so difficult for them and showing them a different way of looking at a problem or idea. Their struggles are often only an issue of problem-solving skills, perspective, interest, or confidence, and the moment at which they realize that the problems lie here and not in their intelligence is most rewarding. I hope to use my experience as an educator to help students pursue their collegiate goals with confidence and competence. I am a graduate of math and English studies at Bowdoin College, doctor of cultural studies, and an eager college prep tutor in New York City, NY. I am currently available for students seeking help with the SAT or other standardized tests. I have several years of tutoring and mentoring experience which began at my university’s writing center, where I worked as a writing assistant, and goes on to include elementary math tutoring and educating abroad in Kathmandu. I have a strong personal interest in math and writing, which is clearly visible from my enthusiastic approach to standardized test preparation and practice. I look forward to helping young adults achieve their goals for higher education! I am a seasoned tutor and academic mentor with several years of experience helping students in a variety of areas. Right now, I am living and studying in New York City, NY at Columbia University and working as a private tutor for multiple areas of study, arts, and standardized test preparation including the SAT. I began my tutoring experience in high school and have now volunteered with a number of public and private organizations throughout Manhattan, Brooklyn, and Harlem. Furthermore, I spent time volunteering as a teacher of art and English in Ecuador and have been involved with Columbia’s non-profit Community Impact, where I worked as an instructor for standardized test prep. I enjoy tutoring students in all areas, and simply seek the rewarding feeling of watching students improve.